Bangalore: Jeffrey Immelt, chairman and chief executive of General Electric Co., the $150 billion (Rs 7.4 trillion) US-based technology and financial services company, sees GE’s India operations continuing to grow at 30% or faster on the back of a “one-two punch" in manufacturing and technology development. The Pune centre will be a multi-product manufacturing facility, Immelt said. “We will start with a few products and go on from there." GE is committed to both the US and countries like India, he said. “Globalization today is less about outsourcing and more about markets," he said. The gap between what it costs to develop software in the US and in places like India is getting smaller, he added. The company’s healthcare development team in Bangalore last month launched a ventilator for critical care at ₹ 3 lakh a unit, and phototherapy units to treat jaundice in infants at about ₹ 40,000 each. 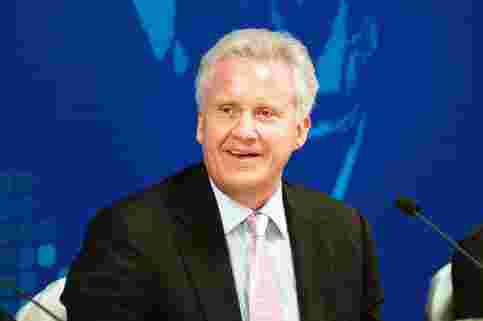 Immelt said he did not see specific policy-related challenges in India but added GE should be “pressing its case harder and be even more omnipresent". GE has for long been seeking some progress in the government’s plan to procure diesel locomotives for the Indian Railways. Immelt said there was robust demand for infrastructure products worldwide, and companies were sitting on more than $2 trillion in cash. GE has $91 billion in cash, he said. “CEOs are not good economists," he said, declining to make predictions about the economy but averred that “business is actually better than the prevailing mood. What we require is a show of confidence" so spending and business activity improve. About 60% of GE’s revenue comes from markets outside the US, up from 35% when Immelt took charge of the company. “Our emerging market revenues is larger than what our total revenues were when I started off," he said. The real challenge to nuclear power was the falling prices of gas and renewable sources of energy, Immelt said. “Nuclear power globally has become less attractive, and that was happening before the Japanese meltdown. There are lessons there in terms of safety we are learning but the challenge goes beyond," he said. Immelt, who is on US President Barack Obama’s jobs council, admitted employment creation in his country had not “tracked well" and was taking longer now. The council, he said, is focused on three areas: training, rebuilding infrastructure, and boosting small and medium businesses. “We have 2 million jobs unfilled because of a skills gap. So we are focusing on training. My colleague on the council, Paul Otellini, CEO of Intel, is focusing on an initiative to increase the number of graduating engineers in the US. That is the kind of thing we are doing."